Below is a list of frequently asked questions (FAQs) on Brexit. This is a live web page and will be updated as further information is available. What tariffs will the UK have in a no-deal Brexit? However, cereals & oilseeds, potatoes and elements of dairy will not have any tariffs placed on them. Sheep meat will have the same tariffs as the EU current does and will continue with tariff-free quotas with Australia and New Zealand. Beef will have a UK tariff-free quota of around 230k tonnes, an existing EU 55k tonnes at a 20% tariff. Any product traded over that will be subject to new tariffs, around half of the current EU tariffs. Most pork meat will be subject to tariffs, but they will be around 13% of the current EU tariffs. Butter and a selection of cheeses will be subject to tariffs. A no-deal Brexit is likely to cause significant short-term disruption to businesses. This disruption will affect trade where there is a loss of tariff-free trade with the EU. There will be increased checks and controls on imports and exports, and potential changes in exchange rates that will also impact agriculture. The EU is the biggest trading partner for UK agriculture. Nearly two-thirds of UK agricultural exports are to the EU, with 70% of agricultural imports from the EU. A no-deal Brexit has the potential to cause major disruption at ports as new checks and processes are introduced. This is made worse by the nature of agricultural goods, with many products being highly perishable. The UK’s just-in-time supply chain, developed over many years, is likely to face major challenges in the event of a no deal. Globally, tariffs on agriculture are significantly higher than in most other sectors. This means that UK farmers will face high tariffs exporting to the EU, our biggest trading partner. This will make UK products less competitive on EU markets and will, in many sectors, in particular sheep, significantly reduce domestic prices. As well as trade, the UK agriculture industry and the wider agricultural supply chain use EU labour in their workforce. Under a no-deal Brexit, free movement of labour with the EU would end. While existing EU workers would be eligible to register for settled status, businesses are likely to find it harder to source permanent and seasonal labour from abroad. With UK employment at an all-time high, finding UK workers to fill these gaps will be challenging. Potentially, before 29 March. If it becomes apparent that no deal is the likely outcome, sterling is likely to weaken against the euro and dollar, just as it did after the June 2016 referendum. This would make imported inputs more expensive. Companies benefiting from favourable currency movements will most likely see this offset by the imposition of tariffs in a no-deal situation. Apart from currency, the extent and nature of the impact is difficult to call. Uncertainty creates a number of challenges for companies, particularly those in the supply chain who are exporting products to countries around the world. Some companies may buy product to be traded before the end of March and stockpile to secure their needs. However, for a number of agricultural products, this is not really a viable option. Therefore, from day one of no deal, trading could be very challenging for the industry. Some short-term implications for the industry will have a knock-on effect on farmers. For example, if a farmer is not employing any EU labour they may think this will not affect them. However, their supply chains may be reliant on EU workers – such as in food processing – so an interruption of upstream labour supply will have an indirect impact. In the short to medium term, we could see prices change. The magnitude and direction of price changes will vary by sector and by the trade policy the UK pursues. AHDB has assessed the impacts of different Brexit scenarios on farm businesses in our Brexit scenarios: Impact assessment report. Longer-term, the effects are far-reaching. The UK will be leaving the CAP from 2020 and therefore will have more control over its domestic agricultural policy. In England, Direct payments to farmers will be phased out over a seven-year period, with a new domestic agricultural policy based on environmental principles as well as rewarding farmers for public good. The extent to which this new policy will compensate for the loss of direct payments is yet to be seen. Many no-deal effects will depend on UK trade agreements. Trade agreements are, by their nature, extremely complex and usually involve years of negotiations. The extent to which this process can be fast tracked, and the ability of new free trade agreements to compensate for lost EU markets, is unknown. It is also important to look at potential trade deals in the context of the wider UK economy. Gaining access to new agricultural markets is unlikely to be the top priority for the UK Government. Countries that have flagged a keen interest in agreeing trade deals with the UK include the US, New Zealand and Australia, all of which are major agricultural exporters. Sheep, beef, pigs and horticulture are, potentially, the most likely to be impacted by a no deal Brexit in the short term. On the livestock side, high tariffs, carcase balance and trade will be the main issues. Certain meat cuts that are, typically, not eaten in large quantities by UK consumers – such as pork shoulder and belly – are currently exported to the EU. Reduced access to the EU market will mean these cuts may become over-supplied on the UK market. For trade, the risk of losing preferential EU market short-term could have a significant impact to the industry and the competiveness of the product. Sheep would be the worst hit in a no-deal scenario, because about 30% of UK production is sent to EU markets. The potential tariffs on sheep meat would make UK product uncompetitive on EU markets. The horticulture and arable sectors will also be affected. For instance, there is a high dependence on EU migrant workers within horticulture. While access to current EU migrant workers is unlikely to change, as they are able to apply for settled status, it could become more difficult to recruit new workers from the EU. This is another complex picture. The UK Government will want to keep food prices as low as possible, as seen by the technical notices for imports, which talk about not much changing from day one, allowing trade into the country to be as smooth as possible. However, the Government has the option under World Trade Organisation rules to unilaterally reduce tariffs in a bid to limit domestic food price inflation. A weakening of sterling would mean imported foodstuffs would become more expensive. In addition, if the UK applied tariffs at the same level as the current EU common external tariff (CET), then imported food prices would rise. In some areas, UK producers may be in a position to expand production and displace some of this imported produce. Even if this is not possible, in the UK’s aggressively competitive retail environment, the extent to which price rises are passed on to the consumer is likely to be below the level of any tariff. A full assessment of the potential impact on trade can be found in our What might Brexit mean for agricultural products report. As highlighted elsewhere, day one of no deal could bring some major complications for trading with the EU. Therefore, exports will most likely decrease with the EU. AHDB’s exports team is working hard to gain access to new markets, including China and Japan, but this will take time. Access to these markets will be dependent on the recognition of the UK standards, such as sanitary and phytosanitary measures (SPS), once we have left the EU. A no-deal Brexit will mean the UK is free to start negotiating trade deals with other nations, but experience has shown these negotiations take years, not months, to complete. The UK Government has been in negotiations with those countries in which we already have preferential trading through EU free trade agreements. It isn’t clear how many of these preferential trade deals will be in place for day one of a no-deal Brexit. Imported goods will be subject to border checks and additional paperwork - although they could be relatively straightforward, depending on the Government's stance. The impact on businesses will vary by sector and performance. Depending on whether the sector is a net importer or a net exporter, no deal could bring potential gains or losses for the sector. The most resilient businesses in every sector will remain profitable under any of the scenarios examined in our Brexit scenarios: an impact assessment report. Our Brexit Impact Calculator (BIC) can help you run your own business data through the various AHDB scenarios and assess the potential impact. Businesses can also review Government guidance on helping businesses prepare for Brexit. We summarise and signpost the aspects for food and agriculture on our Breakdown of Government Guidance section. Our analysis shows that, in every sector, individual business performance is the key that will help farmers and growers to remain profitable. By analysing the Government’s Farm Business Survey data, AHDB has identified the top eight factors that characterise top performers – and they are all within an individual farmer’s control. There is a great deal that farmers can do now to prepare. Details by sector, including case studies are available in our Characteristics of top performing farms report. Farmers can also check out the Government guidance on helping businesses prepare for Brexit. AHDB’s focus is on offering practical advice and guidance on improving farm business performance. 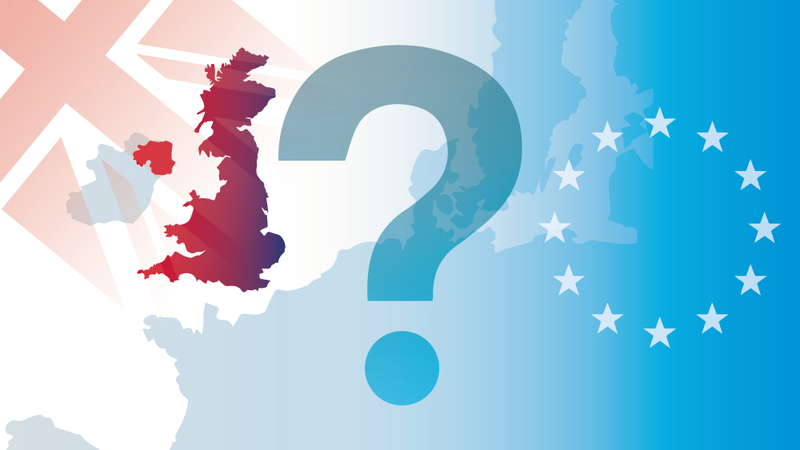 A variety of tools and analysis to understand the potential impact of Brexit is available on our Brexit: Fit for the future pages. AHDB analysis demonstrates that individual business resilience is key to mitigating the potential impact of a no-deal Brexit. Our Brexit Impact Calculator is available for farmers to run their own business data through our Brexit scenarios. You can also access our resilience checklist. Essentially, navigating a no-deal Brexit is about focusing on what is within the farmer’s control and building a plan of action. This may involve talking to the bank or other on-farm advisers. For more information, see our Characteristics of top performing farms report. How will border checks impact on my export operations? Border checks for exports will very likely increase significantly under a no-deal Brexit. This will involve increased costs and potential delays. Exporting animal products to the EU requires third country certification, something the UK does not have, although the EU have indicated that they are fast tracking this so it is in place for 30 March. Animal products will have to travel through designated border inspection posts, and not all EU ports have this status. If I’m employing EU nationals, what should I do? Information for EU nationals who wish to live and work in the UK after Brexit, is available on the Government website, here: https://www.gov.uk/settled-status-eu-citizens-families. What support is available for me/my business? AHDB has a variety of tools and analysis available to understand the potential impact of a no-deal Brexit and improving business performance. For more information, please visit the Fit for the Future section on our website. Other trade bodies and organisations will be offering a wide range of help to their members. The Government has stepped up its preparation for a no-deal Brexit in recent weeks. It has published a full set of technical notices and partnership packs to help prepare businesses for the potential impact. We have summarised those that relate to agriculture and the wider supply chain, and these are available on our Breakdown of Government Guidance, along with links to the Government website.